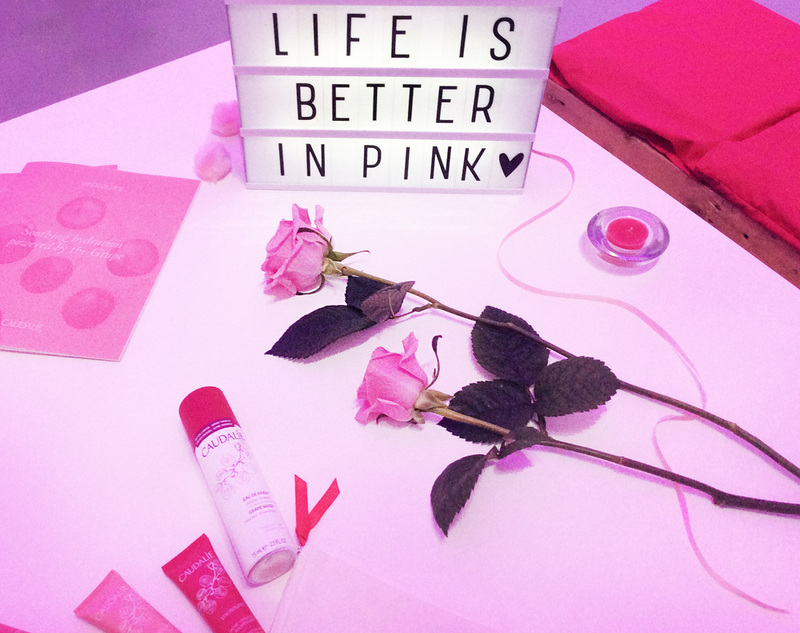 You all know we have a bit of a thing for the colour pink. Well this event was all about it and the beautiful brand Caudalie. A luxury French skincare brand, Caudalie, utilises all the natural goodness that their vineyards have to offer into their products. The new range promotes the benefits of the super-moisturising grape water extracted from red grapes. Our brief was to create an interactive treat display promoting femininity and fun. We love our little pink bike and was well received by the bloggers who attended the event.